DTE Kerala B.Tech Admission 2019- കേരള ബി ടെക് അഡ്മിഷൻ നാക്: Director of Technical Education, Kerala has released a notification for DTE Kerala B.Tech Evening Admission for providing admission in the part time degree courses in the selected Engineering Colleges of Kerala. Therefore aspirants interested in DTE Kerala B.Tech Part Time Course can apply online before last date. Details of eligibility & DTE Kerala B.Tech Application Form dates & etc update in our web page. For more details check the article below. Director of Technical Education, Kerala conducts the process of DTE Kerala B.Tech Admission every year. All the interested & eligible candidates who possess Diploma Degree & wants to acquire Bachelor Degree in Engineering for the academic year 2019-20 apply online by filling DTE Kerala B.Tech Evening Application Form. Candidate must possess Indian Nationality employed in Kerala State. Candidate must have passed Diploma In Engineering awarded by the state board of technical education. At the time of applying for the courses, the candidate must be a permanent technical or professional employment. Private aided polytechnic and private aided and unaided engineering college in the state. Candidate must submit the application fee via demand draft drawn in the favor of ‘Principal, B.Tech (Evening Degree Courses) College of Engineering Trivandrum- 695016. 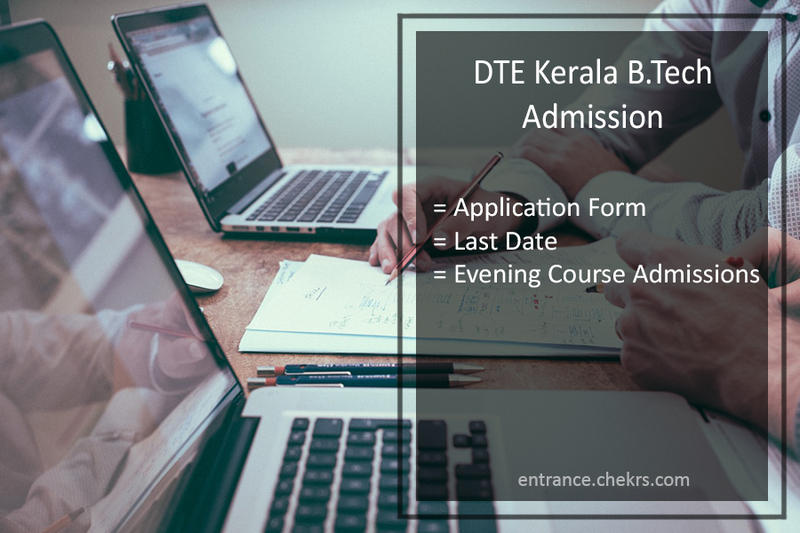 All the eligible aspirants who wish to apply for DTE Kerala B.Tech Evening Admission must fill the online application form in a specified manner and make payment of application fee. Below we have provided the steps to download the online application form. Log in by entering details of application number & password. Click on Finalize and submit button. Save & take a print out of it. Now attach the necessary documentation along with the Demand Draft and send it to the address provided below. The candidates applied for the admissions can check here for admissions process of students. Officials conducts the selection on the basis of the academic aggregate percentage of semester wise diploma marks. Further selection details available on the official notification pdf. For more updates stay tuned to our portal. In case of any query place your comments below.